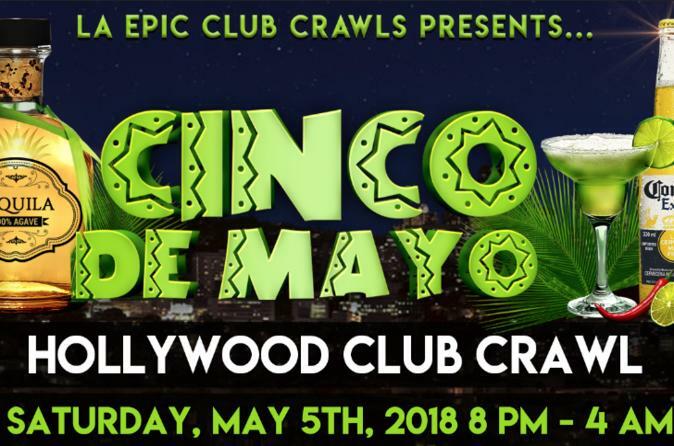 This Cinco De Mayo in Hollywood we're hooking you and your amigos up with one hell of a party! This May 5th we will take you and a group up fellow partygoers to 4 venues (a Mix of bars, lounges, and nightclubs) where you will partake in drink specials, VIP express entry, no covers, and a private party host! The official Cinco De Mayo bar crawl lineup will be released shortly. Please check our website the week of your club crawl to confirm the full line up and meet up locations.